At the end of one of the suburban train lines out of the capital lies Cascais. This once tiny fishing village has grown in the last century to become the elegant beach town that it is today. Visitors are no stranger to Cascais, having attracted various monarchs over the ages, a summer-dwelling artistic community in the thirties and continued to charm people both Portuguese and foreign ever since. Despite its proximity to Lisbon and having swelled enormously in size this, the centre of the Costa do Sol, still retains much of the charm of its fishing past and indeed present. The daily catch is still auctioned in the harbourside square and colourful boats still bob in the harbour, their owners often found mending nets on the quay. Legend even has it that it was a Cascais fisherman, a certain Afonso Sanches, and not Columbus who discovered the New World ten years before the famed date of 1492. Cascais’ fishing history is remembered in the Museu do Mar with displays of artefacts, photographs and model boats. However, it is elegance and commerce with which tradition must share the town and here you find a healthy variety of quality fish restaurants, boutiques and well-heeled hotels, not to mention a veritable fleet of pleasure craft bobbing alongside the fishing boats. In terms of shopping, Cascais has it all from small shops and roadside stalls offering typical embroidery and lace, to the high fashion and beauty boutiques of the centre to the gargantuan shopping centre on the road to Sintra, with high street names in clothes, furniture and a cinema complex. 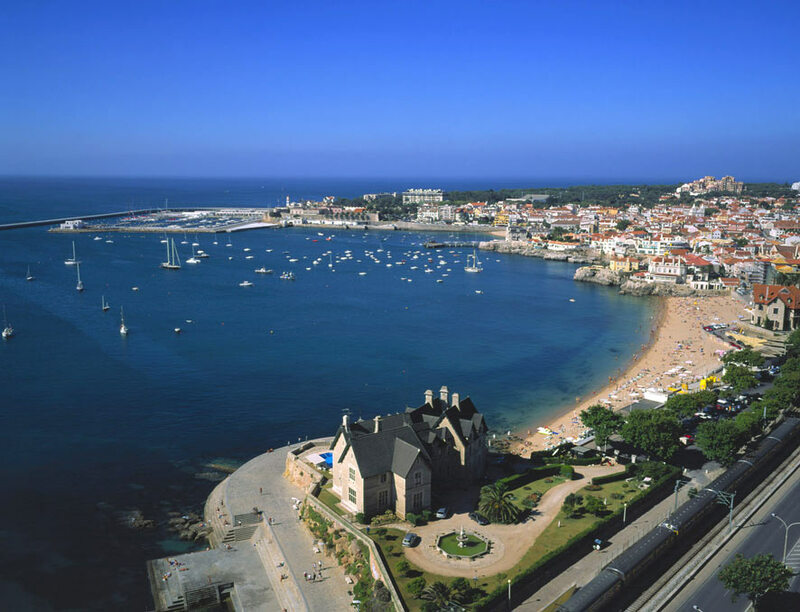 The various beaches in Cascais are small and sweet and certainly crowded in the summer. Walk along the sea front towards Lisbon and a walkway dotted with various bars and exercise points takes you all the way to Estoril, catering for the holidaymaker and the jogger alike. If it is shade you seek, then head for Parque do Marechal Carmona where tables under trees, open spaces and even a small zoo make it a great family space. Also here a house displaying a fine collection of artefacts and collectables from the 18th and 19th centuries including Indo-Portuguese furniture and an outstanding library, the Museu do Conde de Castro Guimarães, is open to the public. Various artistic and ecclesiastic treasures are found in the Nossa Senhora da Assunção church including a 16th century altar, 18th century hand painted tiles and most importantly a collection of paintings by Josefa d’Óbidos. 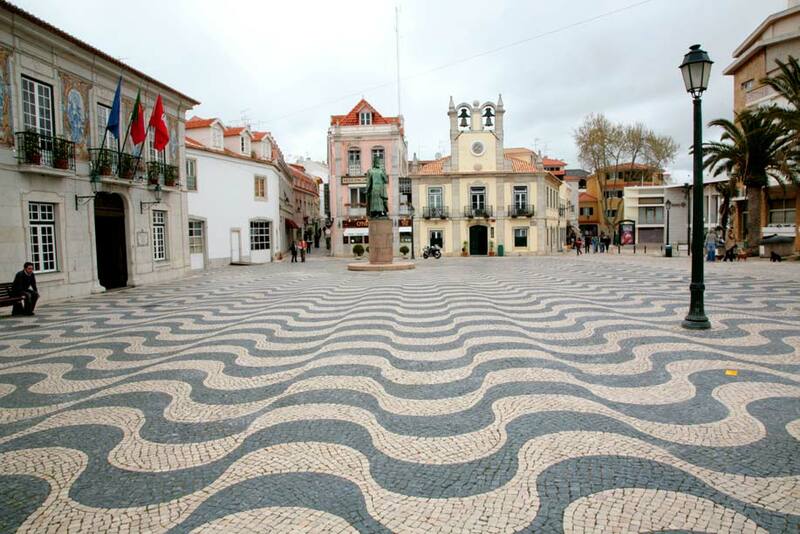 This Portuguese artist achieved high status in the 17th century, which was uncommon for a woman at that time. The space like formation of the rocks at Boca do Inferno (‘mouth of hell’), just 3km out of the town, make it an interesting place to visit without the added extra of it being pounded by the Atlantic and becoming a spectacular blowhole at certain points of the tide. 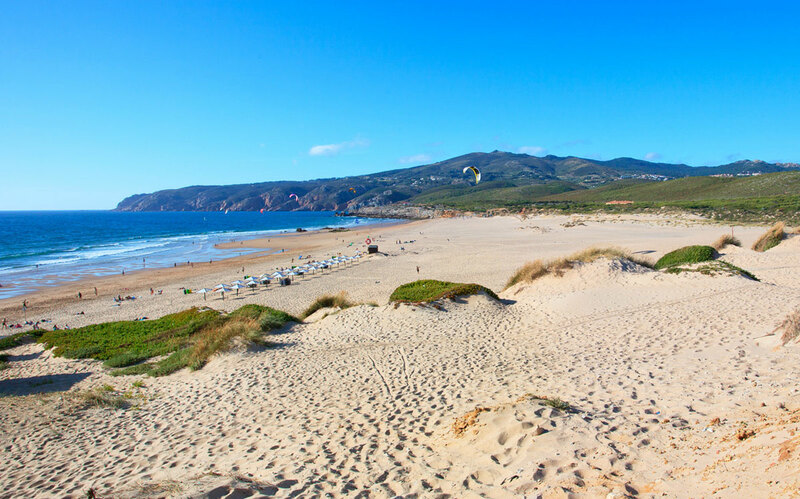 Further along the coast is the Praia do Guincho, a beautiful yet dangerous beach with a host of fantastic seafood restaurants and a perilously strong undercurrent. Experienced surfers and windsurfers take advantage of the maritime conditions here but the standard tourist would do well to heed the red flags denoting dangerous waters. However, the seafood available here is second to none and some of the more obscure Portuguese varieties abound, such as percebes (goose barnacles) and small lobsters known as bruxas (witches). Also nearby is the well-established complex of Quinta da Marinha which boasts 18 holes of sometimes challenging seaside golf and offers horse riding as well.